In spite of recent low LNG imports in Europe which led to the mothballing or dropping of some regasification terminal projects, LNG is destined to play a renewed role in the competitiveness and security of the European energy supply mix. The decrease of the European gas productions, the limited increase of pipe gas imports, the upcoming growth of US LNG exports and the high availability of European regasification terminals, are all reasons that make LNG a future key contributor to the European gas supply. Moreover, North-Western Europe stands as a valuable outlet for LNG players as it is the only structurally importing, liquid and mature wholesale gas market in the world. For years, captive long-term regasification shippers have been subject to regular increases in regulated tariff levels without negative effects on terminal operators; this situation is about to change. The European regasification terminals will compete with each other to attract additional LNG whether they are regulated or exempt from tariff-regulation. Such competition will be reinforced by the upcoming termination of some long-term regasification capacity bookings. The wholesale gas markets liquidity is a primary determinant of imported LNG competitiveness. By creating the option to import LNG in places where pipe gas used to be the only source available, LNG terminals improve the competitiveness of gas supply, e.g. Russian pipe gas is likely to compete with US LNG in order to maintain its global market share on the European markets. However, the impact of new LNG terminals on the competitiveness of gas supply strongly depends on the liquidity of the wholesale gas market to which they provide access. Some recent investments in LNG terminals made in poorly liquid gas markets are likely to result in decreases of oil-indexed long-term-contracted gas prices without reaching the North-West European wholesale gas price levels. 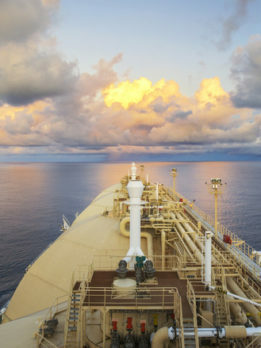 Global LNG players should select their European physical outlets by targeting the right balance between gas price levels, infrastructure costs and ease of LNG re-routing, the latter being strongly linked to wholesale gas market liquidity. European gas utilities which are more focused on pipe gas than LNG portfolio optimization may target the less liquid, and rather overvalued, Central and Eastern European gas markets. Transmission system operators play a structuring role in improving the liquidity of their home markets. The debottlenecking of some transmission capacities could offer an indirect LNG access to Central and Eastern European countries which strive to reduce the prices of their historic pipe gas supplies in a tense political context. The creation of targeted backhaul or reverse capacity would strongly improve the liquidity of some central European markets. In some cases, transnational mergers of gas hubs would be an efficient way to boost markets’ liquidity and competitiveness. Transmission system operators should therefore select and implement the most valuable scheme to maximize the attractiveness of their network and trading hub.